Thank you very much for your interest in our rare breed and heritage chickens for sale. We ship Canada wide. Please read all the information below before ordering. As an added benefit to our customers, we will vet check the birds on a quarterly basis in order to continue to provide you pullorum and influenza free breeding stock. Prices can be found on our Price List page. It is important you have your mind made up prior to ordering. We know this can be difficult so if you have any questions on what breeds are right for you, please read the information on our website or ask us. It is our hope that you enjoy these birds as much as we do. Once you have decided on the breed you would like to purchase, you can place your order by filling out an Order Form. A 50% deposit will hold your order in queue. This document contains all relevant information to our policies. Use only as reference. Health & Safety of the Birds. We operate according to the WA National Poultry Improvement Plan. Canada has no real testing program for small breeders so we have chosen to adopt the WA NPIP program since Washington is the closest State to our Province. As much as we would love to have you to the farm, we limit visits for the safety of our birds. We do our best within reason to maintain a happy, healthy level of bio security. Shipping your Orders. We can ship chicks by air or land. This is something that takes additional coordination and cost. If you choose shipping by air, please make sure there is a direct flight to where you will be receiving shipment. We will email & text you once your order has shipped. Drop-off/ Meet-up for Orders. We can arrange a pick-up at the Tsawwassen Ferry Terminal. We can also meet at a certain agreed upon point for drop-off of orders. We will have to calculate for travel or fuel charge. The calculated amount will be sent to you before you finalize your order. Straight Run, No Chick Kill Farm. 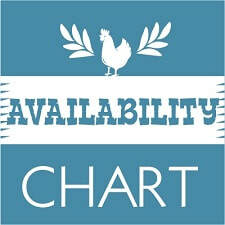 Chicks will be sold straight run unless specified as we do not squeeze chicks. We are a no-chick-kill farm. Any additional roosters or “culls” are raised for eating or food donation. 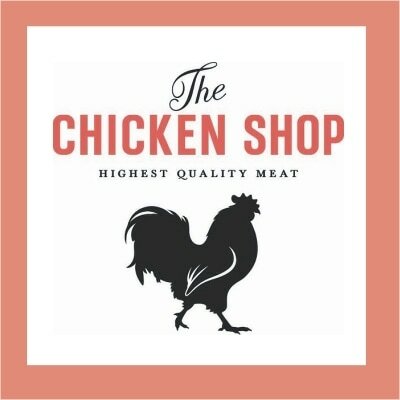 Also depending on the time of year, you may order fresh chicken that has been pasture raised. If you are ordering a straight run breed, it's normal to have 50% male to female ratio at hatch so we suggest you order twice as many chicks as you would like hens. Auto Sexing Birds. Fortunately for the consumer, many of our birds are auto sexing. We do guarantee 90% accuracy on auto sexing breeds and typically send additional chicks to cover any chance of error for those wanting a specific number of layers. Bringing Chicks Home. Shipped poultry will be under seven days old. If you do not want extra roosters in your shipment for warmth, please state it on the order form. We will send additional roosters/ chicks for warmth when available. We primarily deal with farmers and extra roosters are an added bonus for the table and breeding program. You must order at least a dozen chicks during the colder months. Please specify if you are a backyarder or a farmer. We do not guarantee that your results will be optimal if you integrate our chickens to your current flock with no bio security plan in place, or if your birds have been purchased from any type of auction. This includes “poultry swaps” with special marked boxes and the like. Purchasing hens from auctions can pose a serious risk of disease and stress related problems, mixing hens of different ages and from different sources is a common cause of health problems. Guarantees cannot be given due to due to varying breeding programs. We cannot assure your survival rate due to varying climates and environmental conditions. Our chicks should not be mixed to your current flock until 18-20 weeks of age. Reason being that young chickens have an immature immune system which may not be able to cope with disease challenges from older chickens. They should not be mixed with ex-battery hens. Ex-battery hens have undergone a commercial vaccination program and may be disease carriers. These birds have been kept for 12 months in intensive systems and may be suffering from chronic disease. The industry refers to them as spent hens for a reason. They should not be mixed with other birds showing signs of illness, or which have been ill in the past. Many poultry diseases remain dormant in a seemingly healthy chicken, and may crop up again at times of stress. We ask that you quarantine our birds 4 months before introducing them to your current flock. If not possible, at least 30 days can suffice. Policy on Chicks. We have an arrive-alive policy for our chicks. Because we are not a hatchery, it takes us countless hours to ship you one small box of chicks. If you choose to ship those chicks 3,000 km in the cargo hold of an airplane, that is your choice and we will do everything within our power to assure they make it safe. You must use sound judgment when ordering. We reserve the right to decline rebate or credit per chick at our discretion. Typically extras are sent to cover any losses during early season shipping. We have yet to lose any shipped chicks. It is true that our birds have been bred for the climate north of the border. They have adapted as such and are very vigorous chicks. We suggest shipping east of B.C. in April-June and again in the fall. Hatching Eggs. We will be focusing on chicks in 2019. However, from time to time, we may have hatching eggs available. If we do ship hatching eggs, we will do our best to properly and securely pack them but offer no guarantee and no replacement policy. We will not be held accountable for Canada Post's shipping. We take good care in transporting the package to the Canada Post office but once it is in Canada Post's care, we are no longer responsible for it. We will not be held accountable for any delays by Canada Post. This applies to any other shipper if you prefer to ship with another provider like UPS, FedEx etc.. If Canada Post Xpresspost cannot deliver on time and you want us to try to get refund on shipping cost on your behalf, we need to charge a processing fee of $31.00 to resolve the issue with Canada post and issue you the remaining. In-House Specials. We are a preservation farm. All the breeds you see listed on the website are at the farm. We price our poultry to allow for improvements of the flocks, new genetics, and original cost of legal importation. We have numerous breeds that are not listed. If you are looking for a particular bird feel free to drop us an email. Backyard Hens or Laying Hens. 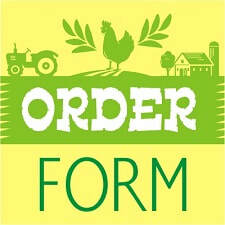 If you are waiting on backyard hens, we can typically accommodate your order with advance notice. The requirement for Vancouver is 4 month old pullets (female). Seldom will you need to wait four months to get your order . Pick-up of birds for North Vancouver, West Vancouver, Vancouver, Squamish, New Westminster, Surrey customers will be in Ladner or Tsawwassen. For residents of Abbotsford, Chilliwack, Langley, Hope, Mission, we can arrange meet-up at Otter Coop in Aldergrove to hand you the birds. For other locations like Kamloops, Vancouver Island etc.., we can discuss shipping or other pick-up arrangements. 1. Pick out what you like. 2. Email us the breed you want to purchase or you can directly download our 2019 Order Form. 3. Fill out the Order Form and send it to us. We will calculate the cost of shipping and handling and send you back the form as invoice. 4. Confirm and pay bill. We accept cheques. We also accept payments by email with e-transfer. Please make cheques payable to Grade Eh Farms. 6. Once we have shipped your order, we will email and text you to let you know of the flight number or tracking number. Cancellation Policy. Once you have paid and your order has been booked, we do not issue refunds if you should change your mind. However, we do offer credits for future purchases. Patience. Please remember, we are a small family farm with an emphasis on breeding the best dual purpose poultry available. (Not a hatchery). Simply put, overzealous hobbyists. We will do our best to accommodate your order in a timely manner. You have to order within season as we cannot guarantee specific hatch dates since we cannot guarantee the hatch rate and laying rate of each of our hens. We will get to everyone who finalizes their order in the order that we receive payment. We ask for patience. Refund of Payment. We reserve the right to cancel an order. If we do miss your order or we are unable to fulfill your order within season, we will give you a full refund of payment or the option to be first in queue the next season. Delay on the part of the Customer. Final payment is due before the birds are booked for shipping or scheduled for delivery. We usually notify customers a few days up to a week before the birds are ready. Final payment is due at least 3 days before the shipping schedule. We cannot hold your order indefinitely. The cost of shipping chicks is different from juveniles. If you are not ready for the chicks a week after we have informed you that they are ready to ship, we will have to start charging you for the care of the chicks moving forward (50 cents per chick per day). The shipping and handling cost may have to be adjusted as well since older birds may require a bigger box to pass the cargo shipping inspection. Due to our own personal concerns, we currently do not vaccinate for ILT, IB, or ND. This may change in the future as we add breeds to the genetic poultry vault. For the most part we operate in full disclosure. No secrets. To date, we have had no issues with birds other than a bout of dry fowl pox caused by mosquitos. Our flock loss was less than 1% and future generations will be stronger due to this exposure. We will continue breeding for resistance to Mareks and cocci and have made vast improvements to benefit the consumer. As an added benefit to our customers for 2018, we will vet check the birds on a monthly basis in order to continue to provide you pullorum and influenza free breeding stock. The above are basic guidelines and subject to change.